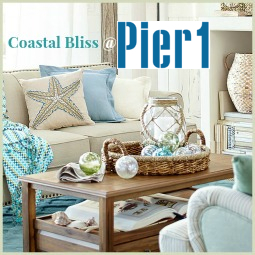 Get creative with all the beautiful seashells you collected along the shore! 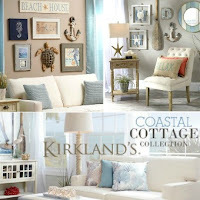 You can find Hundreds of Seashell Crafts to be inspired by on Completely Coastal, including ideas How to Display your Seashells in your Home. 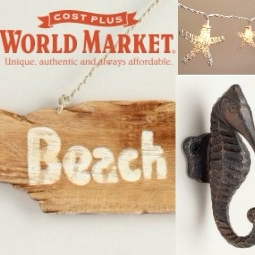 From simple projects to elaborate creations that are well worth the effort! 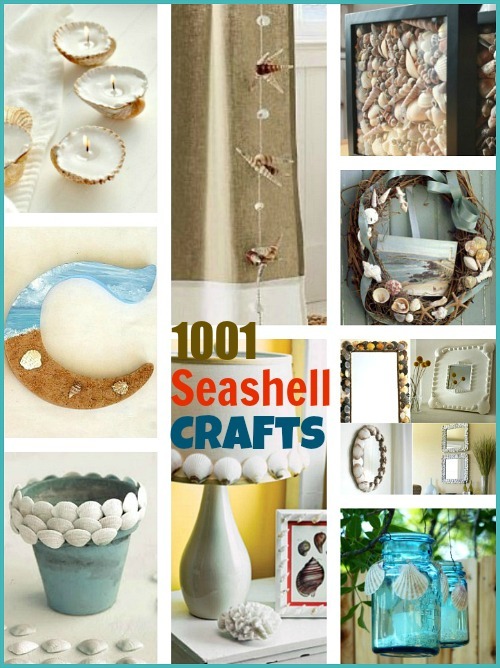 The following list of Seashell Crafts will get you started. 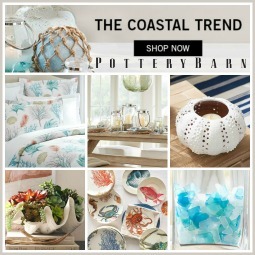 A Sea of Seashell Crafts for your Home! 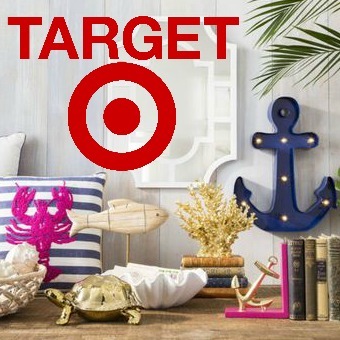 Decorative Seashell Letters are a great way to personalize your space! 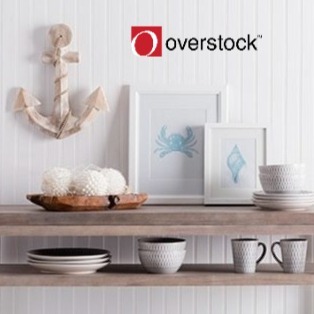 Not only can you paint and embellish letters to your heart's content, you can also spell out your favorite word, a message, or display an initial. 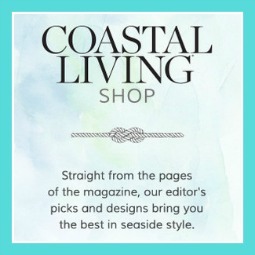 They bring a sculptural element to your wall or bookshelf. You can buy craft letters at your local craft store or online at Michaels. 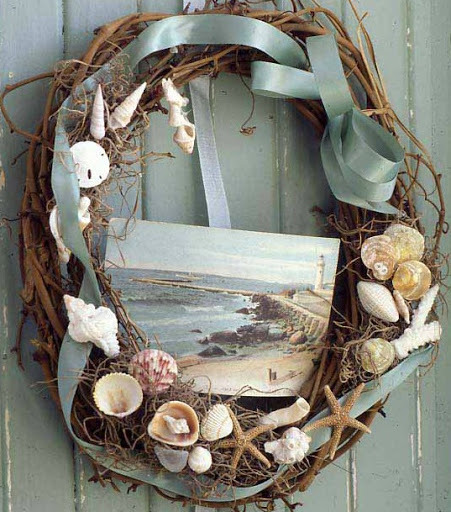 Use your beach seashells to create a Seashell Wreath (image). 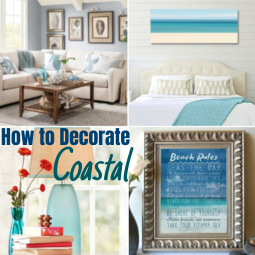 Coastal Wreaths are beautiful all year long and there are many ways how to make them! Seashell Grapevine Wreaths are some of the most popular, but you can also use a wire frame as a base or foam ring, especially if you want your wreath to be completely covered with seashells. Wreath by Barbara Jacksier. 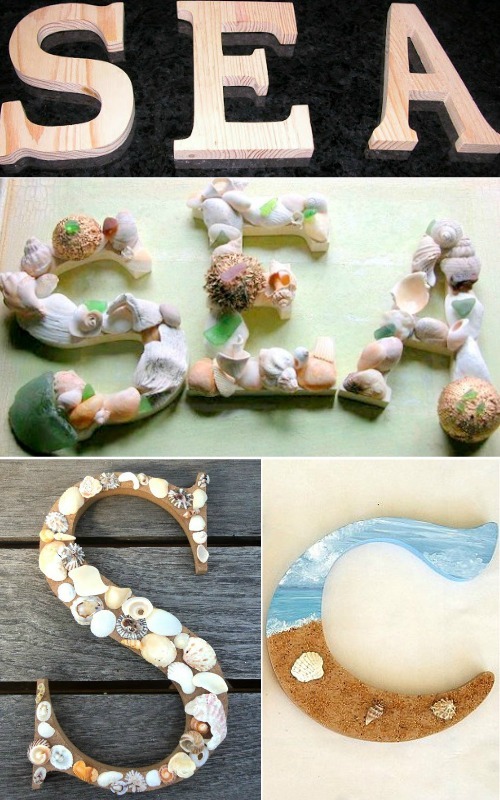 Create seashell art with these Shell Art Ideas. 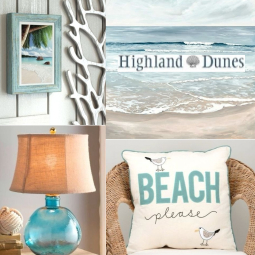 There are so many ways how to use your seashells for art -framed or mounted on wood planks, mosaic collage, single shell mount, and more! Shell Art by Natasha Burns. More seashell crafts for the wall. Cover frames. 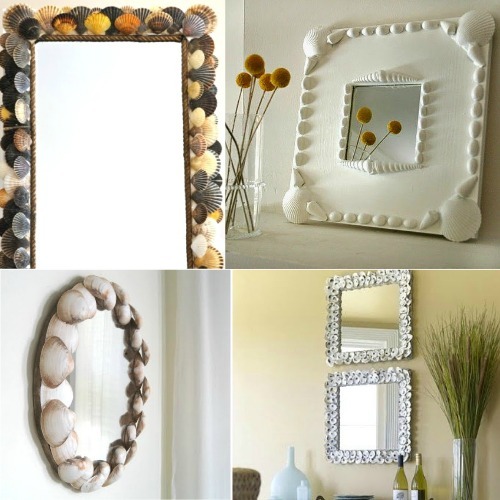 For some great seashell mirror ideas, Browse the Category DIY Mirrors. 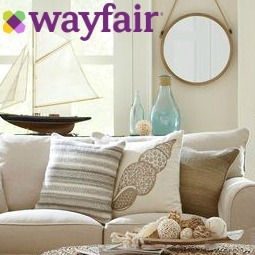 You can decorate picture frames the same way as mirror frames. And there is no wrong way of doing it. 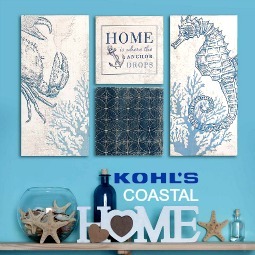 Add just a few shells to a frame, lay out an artistic pattern if the space allows, or cover the entire frame. 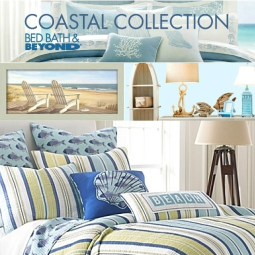 All depending on your taste and seashell collection. Mirrors clockwise: here, here, here and here. 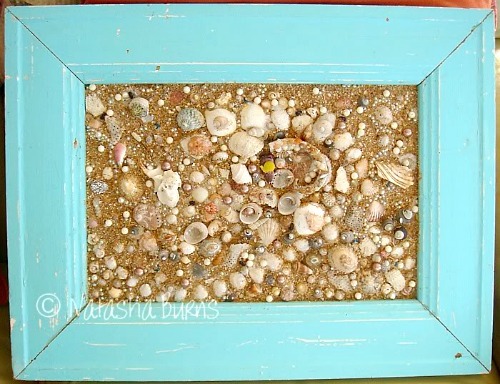 Seashell shadow boxes is another wonderful seashell craft idea. 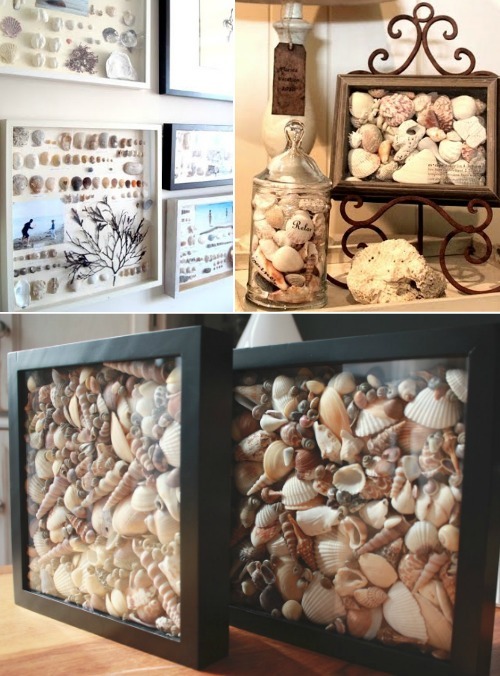 Capture your Beach Vacation Memories in a Shadow Box, or simply Fill Shadow Boxes with your Seashell Collection (also see here). 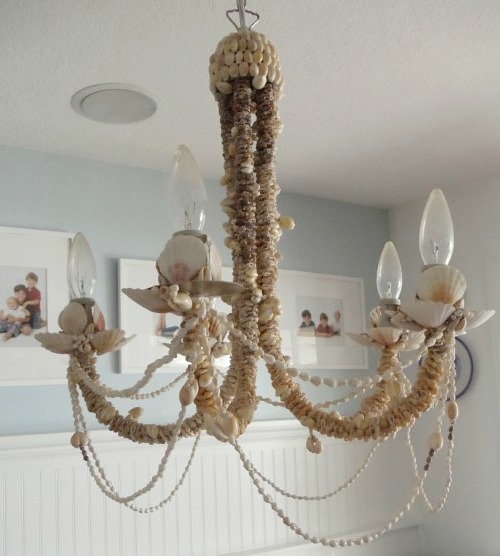 Cover an old chandelier with seashells. This stunning Seashell Chandelier is completely covered with seashells. But it doesn't have to be elaborate to be beautiful, if you follow the link you'll find other lovely shell chandelier ideas that are much easier to pull off. 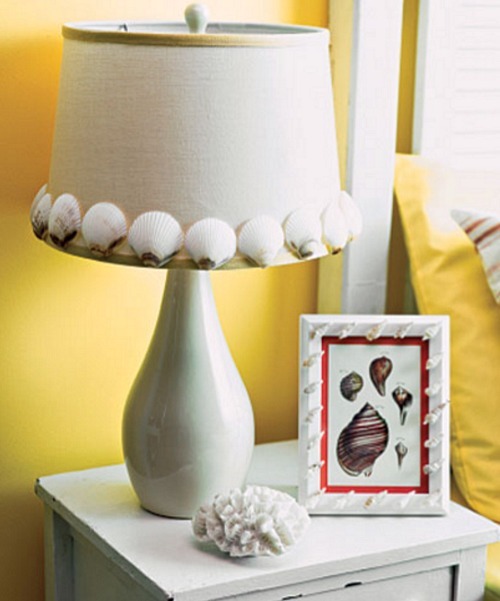 Or transform ordinary table lamps into one of a kind Seashell Table Lamps! 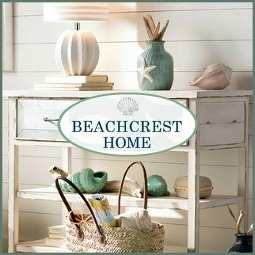 Spruce up a bland lampshade or embellish a lamp base. 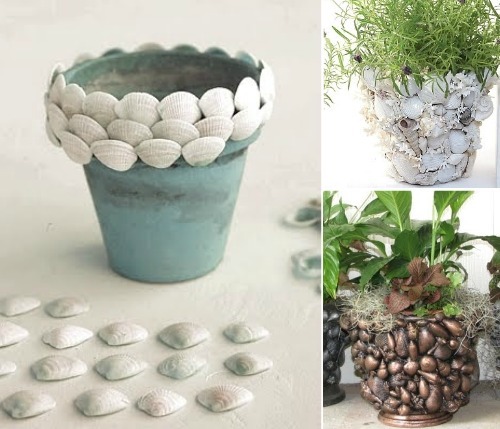 Decorate Terra Cotta Pots with Seashells. Again, how far you take this seashell craft is entirely up to you. 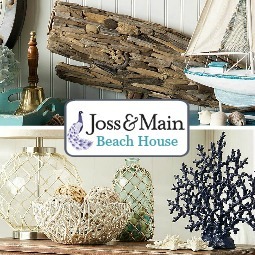 From a seashell trim to a spray painted antiqued seashell pot and other ideas to inspire your own unique creations. 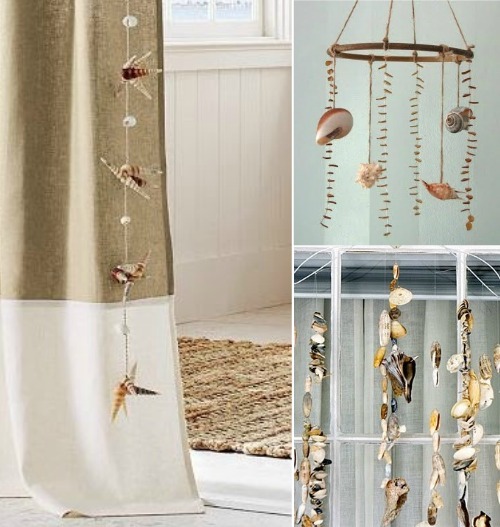 Garlands, Mobiles and Chimes are another great seashell craft favorite. You will find a bunch of really creative ideas in this category. 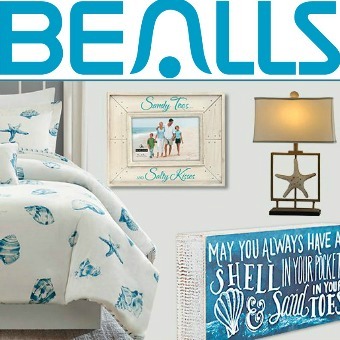 Or how about some Seashell Wall Hangings -these are labors of love! 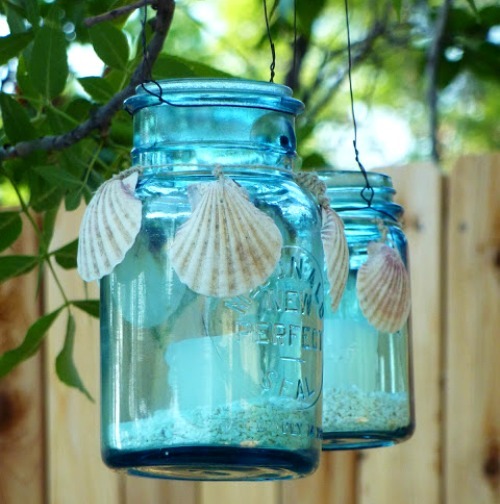 Use shells to pretty up glass jars. 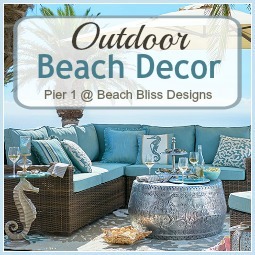 They make such lovely Beachy Candle Lanterns! Featured here. 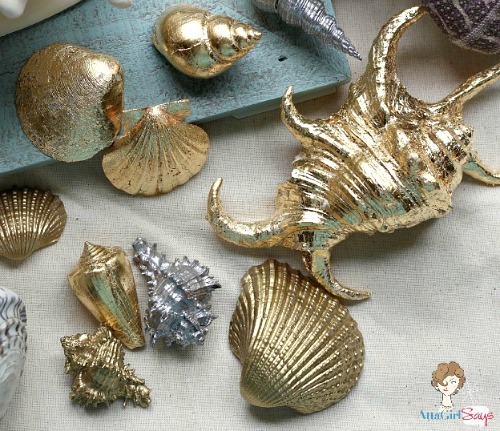 Not that shells need to be dressed up, but you can't deny how attractive these Gilded Seashells look. They would be perfect to add to a festive dinner table! 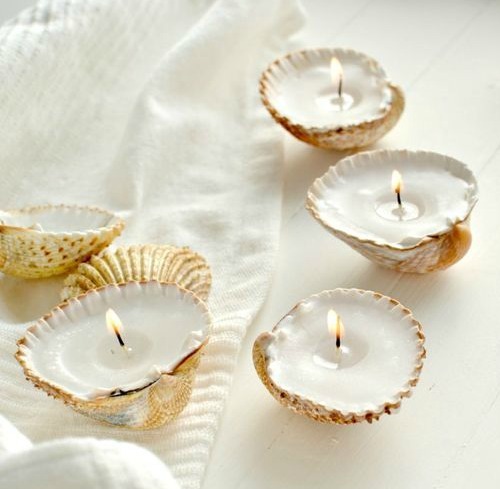 A very popular seashell craft project is Making Seashell Candles. And the deeper the shells the longer the burning time. This, like so many other seashell crafts, are fun for the entire family. 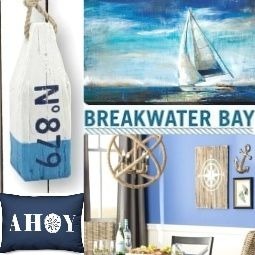 These are just a few examples of amazing seashell craft ideas, to see them all, browse the entire category of Seashell Crafts and Seashell Display Ideas. 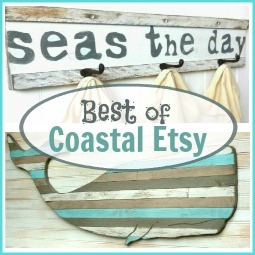 And Take a Look at all Craft & DIY Ideas -the coastal theme creativity is contagious!